As with all of our clients we are always asking if there is anything else we can help them with. This way our clients need less agencies and we become strategic with our partners rather than purely tactical. At one of our business review meetings with one of our largest field marketing clients we explained our competence in the football and sports marketing sector. Nextbase have huge market share in the UK dash cam market and on analysing their business they have seen an opportunity to capture young male consumers earlier via education and awareness. After working together on how we could help, we agreed that we would build an Instagram channel specifically targeting young footballers and utilise our extensive network of contacts in the sports market to support them in rolling out an initiative to educate young drivers on road safety. Due to the connections we have in elite football, we know that there is a problem for young footballers when they transition from academies into the main spotlight of being a well-known footballer and driving safely is one of the issues these young players face. Moving up in engine size, fans recognising them on the road and extortionate insurance premiums are some of the challenges facing the young players. In partnership with Southampton Football Club we launched the start of the Nextbase Educational Roadshow. In conjunction with, and on behalf of, Nextbase, we paid a visit to the Under 18 squad at Staplewood Training Campus to deliver training that aims to promote better driving standards and raise awareness of how to stay safe on the roads as a young motorist. Whilst safe driving and raising awareness of the benefits of dashcams was the priority of the event, the educational session was tailored in a way that made it engaging and interactive for the Youth Team. From the use of ‘shock and awe’ footage and encouraging the lads to take part in a football skills challenge which was recorded on dashcams, the event was designed with the audience in mind. 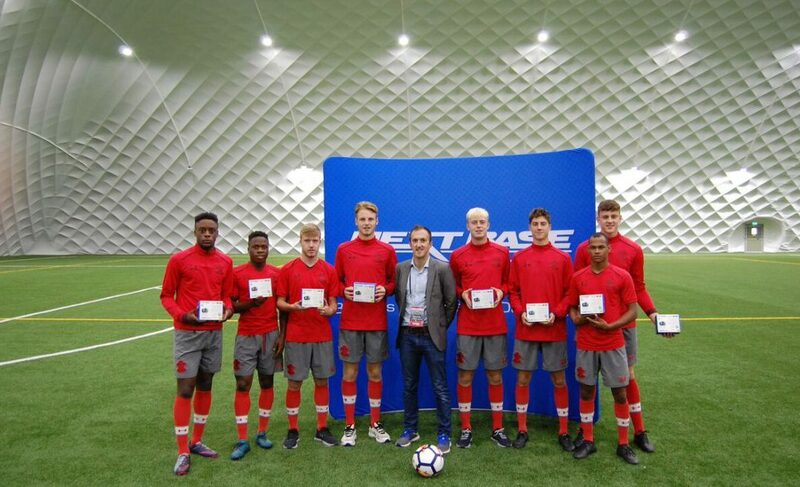 The winners of the skills challenge were awarded a trip to Mercedes Benz World in Surrey to gain further advice and guidance from expert drivers on how to handle a high-performance car. The dedicated Instagram account engaged with the players and a broader audience of younger drivers, so that Nextbase could better understand the younger demographics perception of dash cams and educate them on the benefit of fitting recording equipment to their dash in a way that was fun, social and relevant.